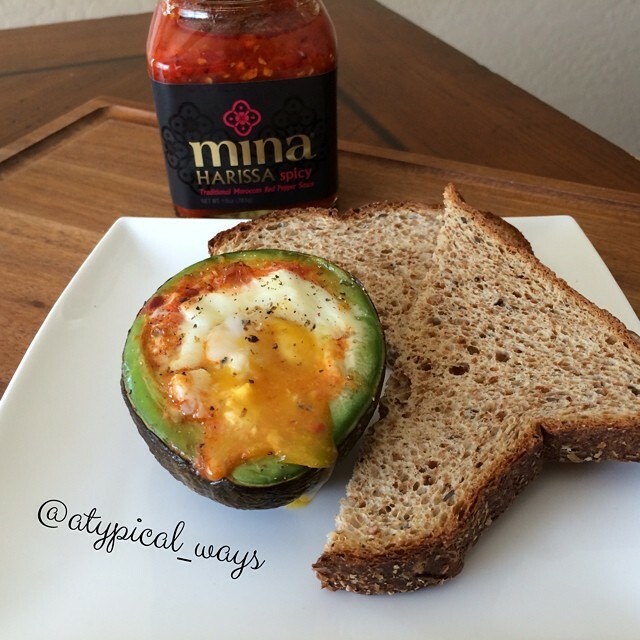 Harissa baked egg in an avocado with toast – ready in 20 minutes from start to finish! 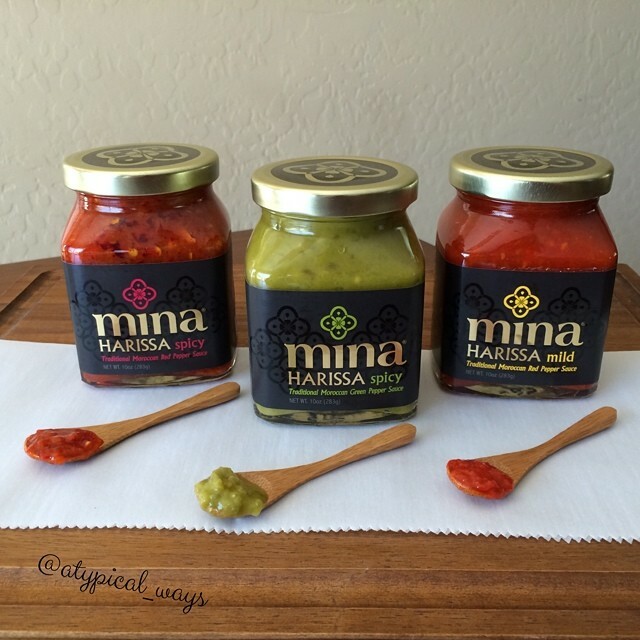 Mina Harissa can be purchased in 3 different flavors online here: http://www.farmtopeople.com/collections/mina-harissa I found mine at my local AJ’s Fine Foods. Preheat oven to 425 degrees. Halve an avocado and use the side without the seed (wrap up the seed side with plastic wrap for later use). Place avocado in a small baking dish/ramekin to prevent it from falling over while cooking. Depending on how big your avocado is you may need to use a spoon to hollow out some more of the avocado to make room for the egg. Once the hole is big enough smear the inside of the avocado with 1tsp of Harissa and crack an egg into the hole. Top with some fresh ground pepper and bake for 15 minutes or until egg white is set. Toast bread right before egg is finished cooking! Let me just start off by saying that I am SO EXCITED to finally have my hands on this. I had looked everywhere for this; multiple Sprouts, Whole Foods, numerous grocery stores and come to find out it has been at AJ’s Fine Foods this whole time! I read about this sauce in one of the cooking magazines that I get and I was instantly intrigued by it. It is a traditional Moroccan red pepper sauce, blended using only 6 simple all natural ingredients; red chili pepper, red bell pepper, garlic, extra virgin olive oil, vinegar, salt. The smell when you first open the jar is AMAZING! I knew what it was going to taste like even before putting it in my mouth! I can’t wait to start messing around with this in the kitchen. I’m definitely a sucker for the Harissa Spicy, so good!